I have decided to play hoshi only with White. My opponents usually play parallel fuseki with komoku and hoshi. This pattern has occurred quite frequently in my recent games. 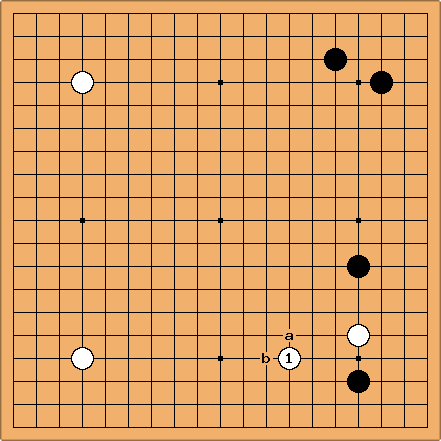 On two occasions, Black jumped out at a, resulting in a typical pattern that nowadays is not liked anymore by pros, according to Guo Juan. According the database search I did, in 45% of the pro games Black invades at san-san (b) and in 33% Black counter kakaris at c. Isolated cases are a, d, e and tenuki. In my games with Black, I now play rotating komoku. White often plays ni ren sei, like I do when having White. 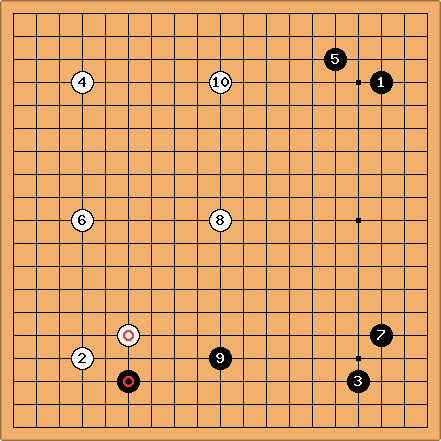 We almost invariably end up with this position, allowing me to test the 3-4 point high approach, two-space high pincer, ogeima. 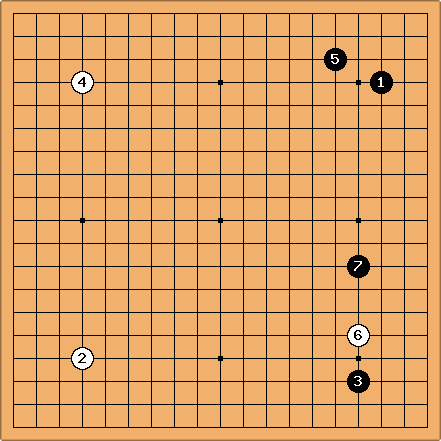 Again, in my games my opponent often choose a move the pros don't: the one space jump at 1. Usually I sacrifice the pincer stone by playing both a and b. This makes White very strong, but I get territory in two places. I have no idea whether it is good or not to play this way. In nine of the eleven games I found White played 1 here and half of those times the crazy variation followed shown on the joseki page. Other isolated answers were the mild a and the more eccentric b. 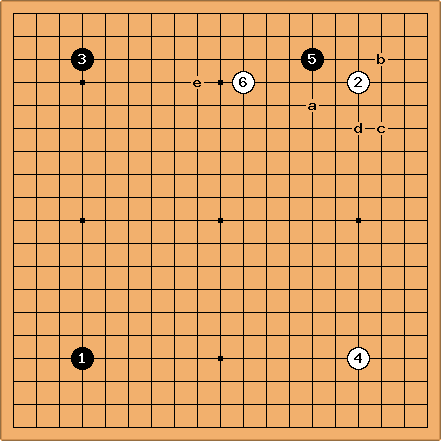 In one game, White allowed two shimari. 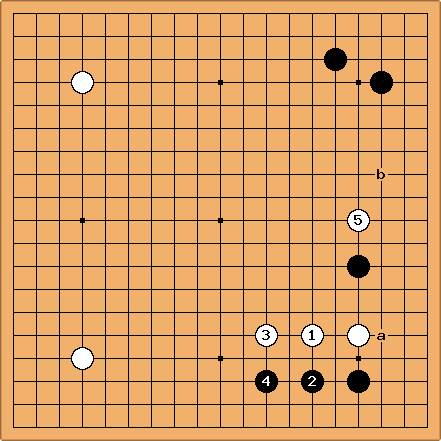 He argued that making two shimari is a slow way of playing for Black. This is how we continued.